World missions is in transition today, and must reconnect with both the aspirational vision of God, revealed in the Scripture, and to new cultures and generations. So claimed Paul McKaughan in an after-dinner speech to twenty mission leaders in Colorado Springs. Hosted by Christian Futures and the Rocky Mountain Chapter of the Evangelical Missiological Society this past June 27, 2006 at Giuseppes’ Railroad Depot, McKaughan, the third president of the Evangelical Foreign Mission Association and now its ambassador at large, shared during an “Evening of Reflection”. Just articulating a mission statement and purpose is not enough for success, McKaughan claimed. Strategic leaders in missions must envision the outcomes they expect and talk them through with their partners in other cultures. “Conflict is inevitable,” McKaughan claimed, as he closed his talk. “I mean, conflict is inevitable, even if you clarify what your joint aims are,” McKaughan added. During question and answers, McKaughan stressed the need for Mission leaders to embrace conflict between God-given visions among their peers. “Missions today is in a parenthesis, and we are waiting for the next collective ‘Aha'”. According to McKaughan, that ‘aha’ will only come after we gain a new consensus, which includes newer generations. 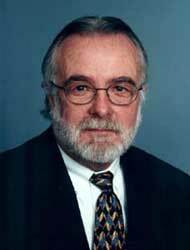 On December 31, 2005, Paul McKaughan (pronounced “Mc-coin”) ended 15 years of service as the president of the Evangelical Fellowship of Mission Agencies, a capstone of over 40 years of mission service. His experience ranged from church planting in the jungles of Brazil, guiding his denomination’s mission program, directing large events for the Billy Graham Association, and helping ministries increase their capacity for World Evangelization. Paul and Joanne McKaughan’s missions career has been an exhilarating, ever expanding discovery of God’s plan for the nations. Now after a six month sabbatical, the McKaughans have taken to the highways from Atlanta, Georgia in a RV, visiting their grandchildren across the U.S. and serving EFMA as an Ambassador-at-Large, in a coaching and mentoring capacity to mission leaders. Over the course of his career, McKaughan held various roles with international ministries, including a church growth consultant with OC Ministries, the director of PCA’s Mission to the World, the chief operating officer of the 1989 Lausanne II Congress in Manila, and finally to come to EFMA as their third president, following Clyde Taylor and Wade Coggins. In his capacity at EFMA, McKaughan helped strengthen the leadership of 100 U.S. member agencies, representing more than 20,000 North American cross-cultural workers worldwide. EFMA is associated with the National Association of Evangelicals (NAE), the World Evangelical Alliance (WEA) Missions Commission, and enjoys a strategic alliance with the Christian Stewardship Association (CSA) and Advancing Churches in Mission Commitment (ACMC). In addition, Paul is the co-author of Choosing a Future for U.S. Missions (1998). The Evangelical Missiological Society (EMS) is a professional society of 350 U.S. members comprised of missiologists, mission administrators, teachers, pastors with strategic missiological interests. It has been active in the Rocky Mountain region since 2003. Its activities include attending EMS’ national conference, hosting local workshops in the Fall and sponsoring an annual meeting in the Spring for members to present papers.